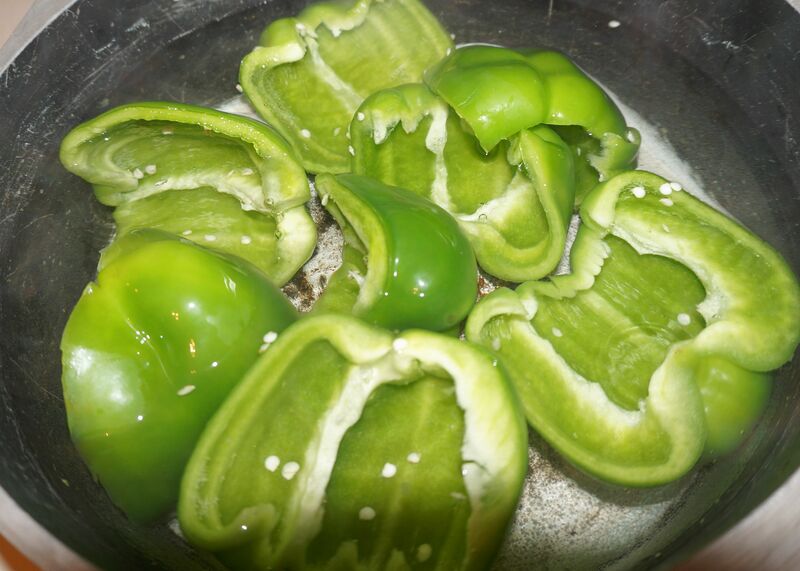 Slice peppers in half, clean out seeds and boil until peppers have softened. Meanwhile, saute onions and garlic for a few minutes, add hamburger and cook until nearly browned. 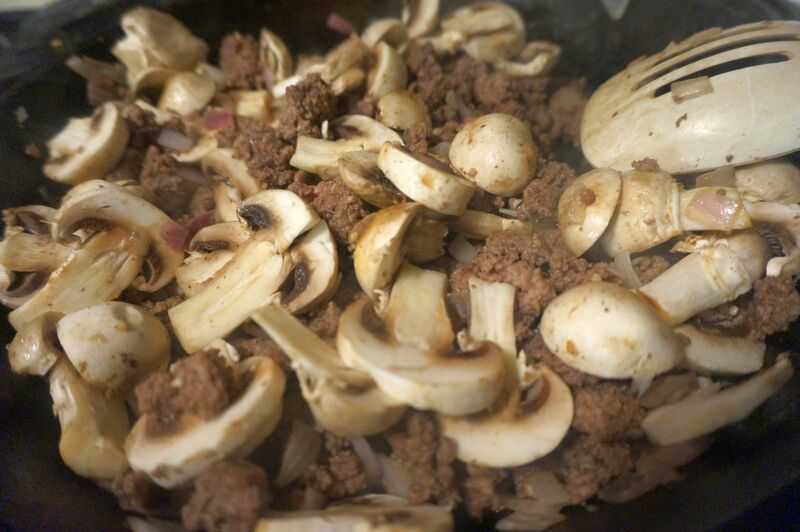 Add mushrooms and continue cooking until hamburger is no longer pink and mushrooms have softened. 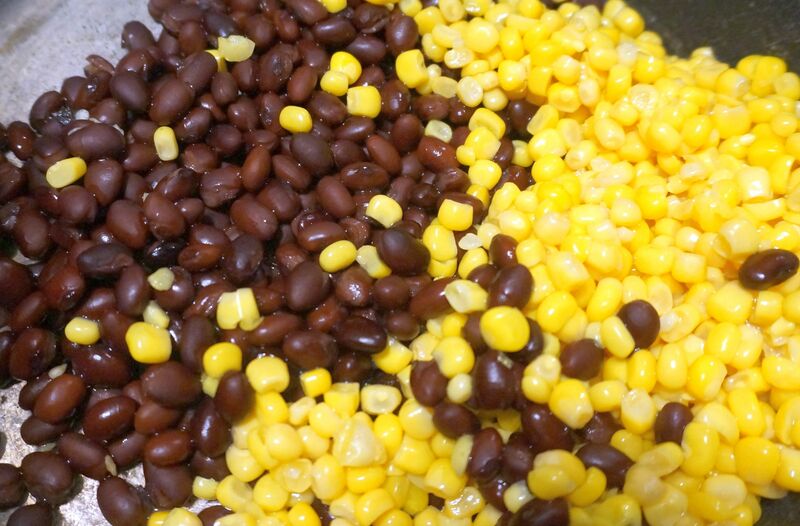 In a large pot combine black beans, corn and spaghetti sauce. Place pot over medium-low heat. 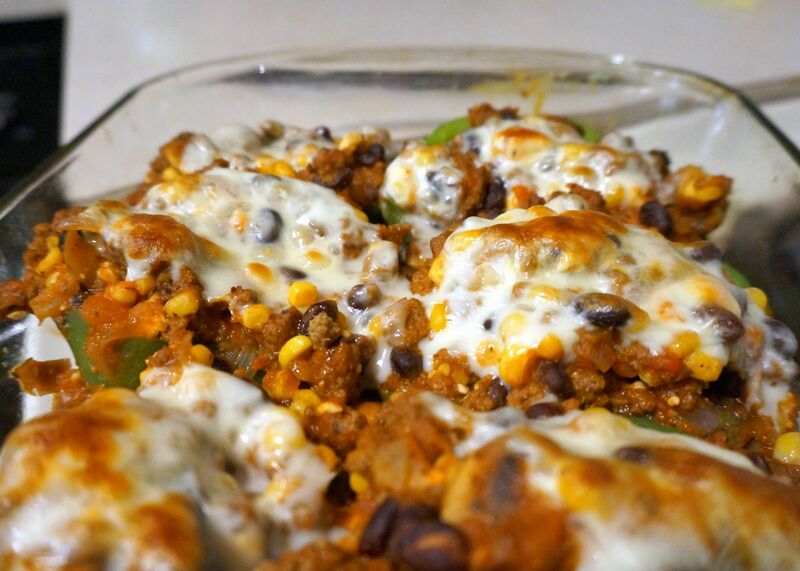 Combine hamburger mixture and feta cheese into bean, corn and red sauce. Fill each pepper (heartily) and finish by adding a provolone slice on top of each pepper. Place in 350 degree oven for 15-20 minutes or until mixture is bubbly and cheese is golden. Let sit for a few minutes, and then dig in! Sometimes I add in cooked quinoa or rice into the mixture to add another layer of texture. 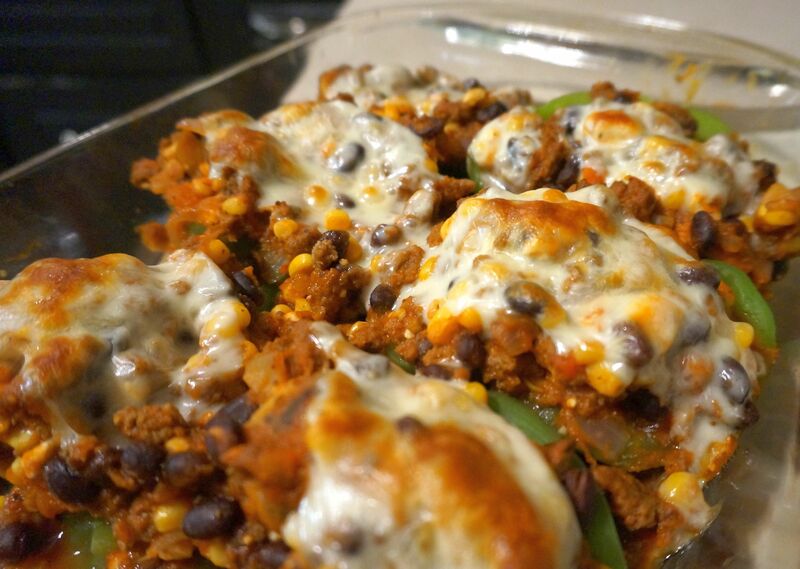 Stuffed Peppers are versatile. 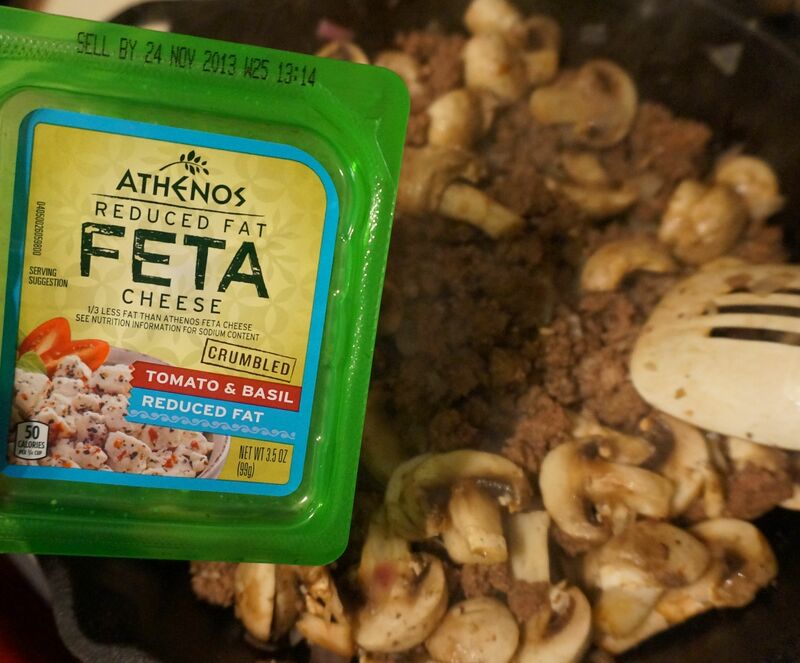 You can add in so many different ingredients to make it your own. Do you have a favorite way to make stuffed peppers?